Don't just take our word for it, see what our clients have to say about the services we offer. LJ Hanbury have consistently remained reliable and professional throughout the nine years we have used their services. They are always willing to help us and we thoroughly enjoy meeting the team when we get chance, this shows how friendly and approachable they are to work with. VAT wages and tax is something that we found difficult to get to grips with, however, LJ Hanbury were there to guide us through step by step, ensuring we had a clear understanding! I have been a client of L J Hanbury Ltd for 20 years, and I could not be happier with all they have done for me over the years. I am always greeted with a friendly smile, and the service they provide is exceptional. Everyone is extremely helpful and willing, nothing is too much trouble. Linda and Aaron have a fantastic, knowledgeable and pro-active team, who are all a credit to the firm. Very highly recommended. I would like to thank you for being so honest, trustworthy and non judgemental in the fact that to you and your company it doesn’t matter on the size of turnover or profit. You get the same friendly service in a cosy office. Over the years the team at L J Hanbury's have become an important part of our business, always on hand when required, professional and approachable. They have taken the weight of compliance off our shoulders, can't commend them highly enough. 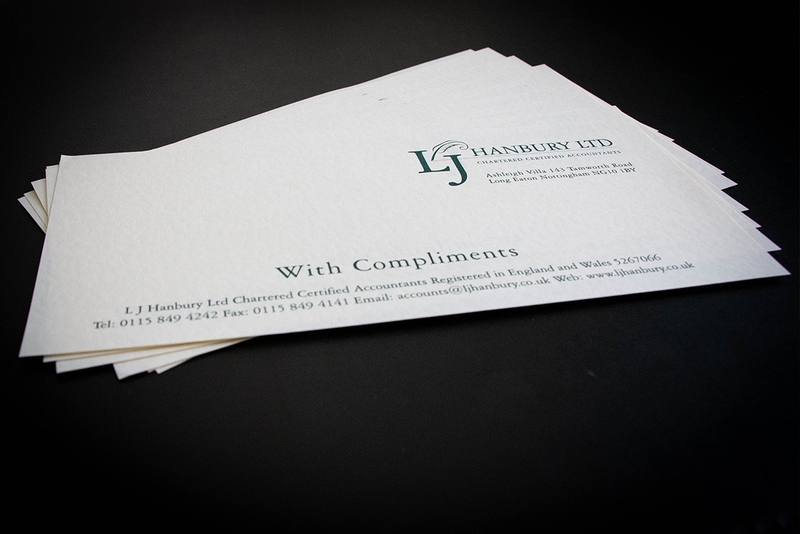 We were recommended by a friend to give LJ Hanbury a try, as we were not happy with our current accountants. That was 3 years ago and we have never looked back. Everyone is very friendly, always available to talk to and we have never had any worry’s about all the work they do for our company. I would recommend them to everyone. When running any business its fundamentally and crucially important to have a great reliable, professional, and knowledgeable team of experts around you to help and guide you through the business building process; I can honestly say that Lj Hanbury has been just that for our company. They are not just accountant’s they are truly hands on business building partners for us thank you for your continued help and guidance for our business. L J Hanbury Ltd and their team really suit our business. They give us proactive advice, which stands them apart from most accountants we’ve met. They’re always on top of the latest tax changes and the guidance they’ve provide has really helped our business grow. One of the best benefits I find time and again is the swift responses to queries – it just takes an email and there is an almost instant response from one of the team. When you are up against a query – that is such a positive benefit . Also as the team has grown they have managed to keep the personal service and attention. Having moved to Nottingham to start our new business, we needed to find accountants to be closer to us. You have been recommended by a fellow dentist and since the first day I stepped into your office, your friendliness and availability have exceeded my expectations. I would definitely recommend you to anyone wanting a reliable, communicative and fair accountant. Thank you for looking after me for all of these years. The team at LJ Hambury are always friendly helpful and provide solution for my queries which best suit me. It’s a pleasure dealing with the firm who have never let me down since I joined them.